Hope everyone had a lovely weekend! Welcome back for day 3 of Stamp Highlights! 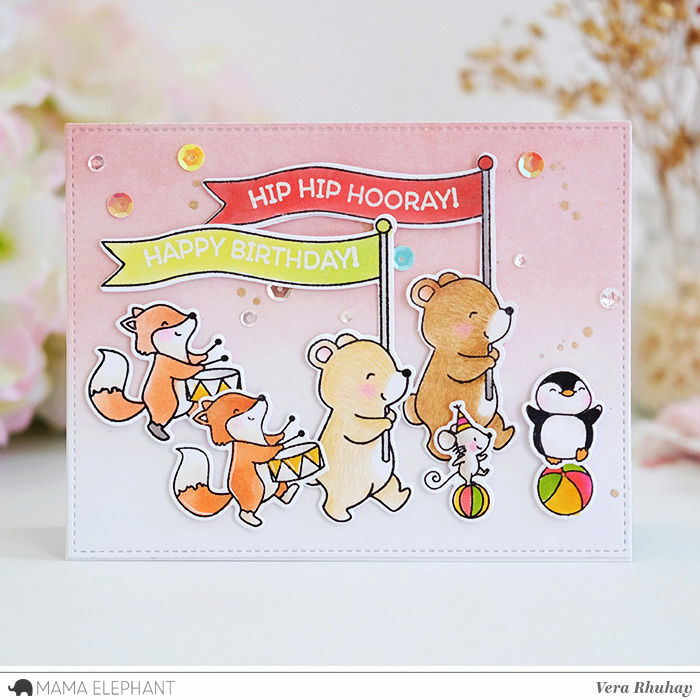 Today we are looking at the lovely Animal Parade Stamp Set by Aida! Let's march along and see what happy cards the Design Team have created! 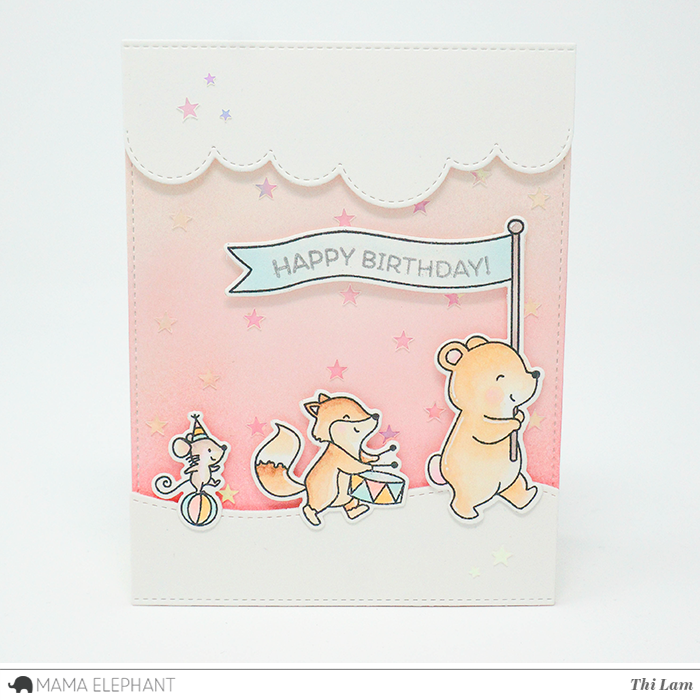 We just adore Amy's sweet one layer card! Laura created a sweet parade using one of the All Prettied Up-Creative Cuts for the scalloped background panel. 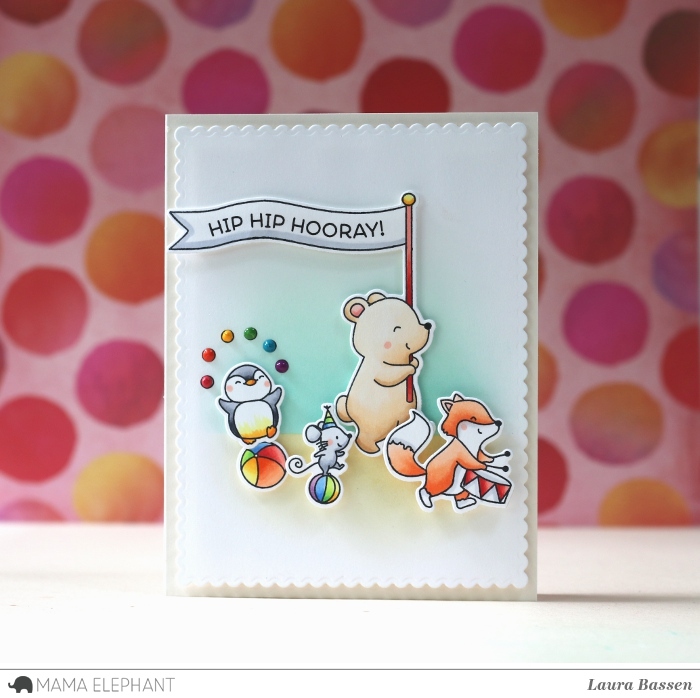 Thi showed that Landscape Trio Creative cuts goes so well with the Animal Parade stamp set! 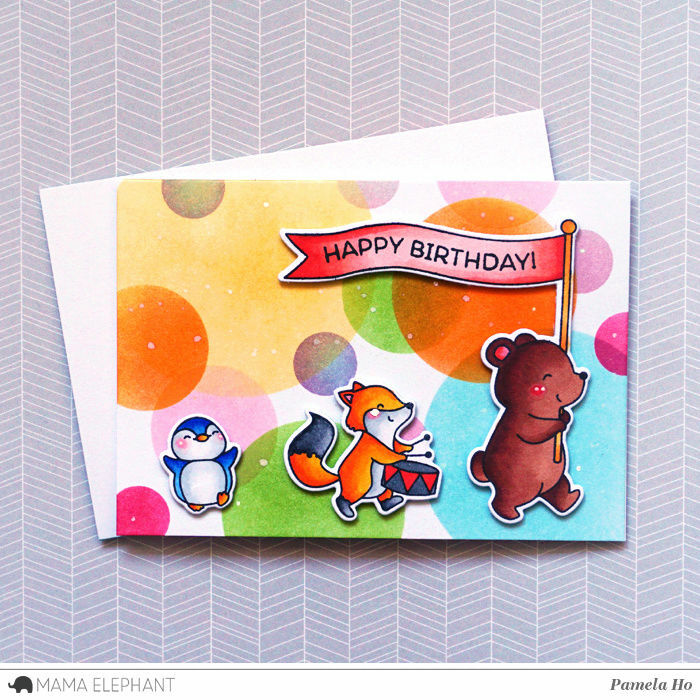 The coloured circles is the perfect happy background for these party animals! We love this cheerful card by Vera! Oh my! 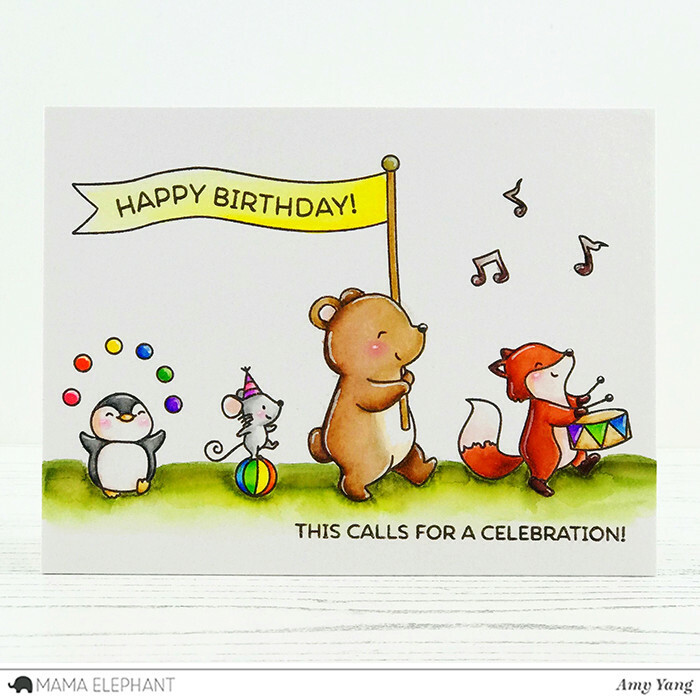 Fantastically adorable and fun images and cards! So many happy and colorful cards ! Thank you for sharing. These are sooo Cute and Fun!! Awesome cards. I love the fun background that were created and those darling animals. So much fun and creative cards. I love see different ways to use the images.